How Big is the Patient Mix-up Problem in the U.S.? Hollywood has created several films featuring a person that was wrongly informed about cancer or another fatal disease with the patient being told that they only have a few months/days left to live. Upon hearing this news, the patient goes on a spending spree and adventure only to discover in the end that things have been mixed up. This might make for a great movie but in the real world, if such a patient mix-up happens, the outcomes may be far worse. But just how frequently does this medical record mix-up problem happen in real life? It seems that the problem of so-called mistaken patient identity is big enough to cause serious problems – something that is very evident from the article published in the Boston Globe, reporting 14 cases of mistaken identity. Reports indicate that medical errors due to patient mix-ups are a recurrent problem. Consequently, a wrong person may be operated on, the wrong leg may be amputated, the wrong organ may be removed, etc. In fact, CNN reported that in 6.5 years, in Colorado alone, more than 25 cases of surgery on the wrong patient have been reported, apart from more than 100 instances of the wrong body parts being operated on. It would be challenging to estimate the true total number of patient mix-ups simply because the vast majority of them go unreported until something untoward happens. Even in cases where complications do occur, most medical organizations would not be eager to publicize them. Today, it is widely accepted that medical errors are the third largest killer in the U.S.; that is, far more people die of medical errors compared to diseases like pneumonia or emphysema. It is now estimated that more than 700 patients are dying each day due to medical mistakes in U.S. hospitals. This figure clearly indicates that medical errors often occur even though a fraction of them will have fatal outcomes. It also tells us that cases of patient mix-ups may be shockingly high and indeed underreported. Though several thousand cases of mistaken patient identity have been recorded, it remains the most misunderstood health risk, something that hospitals barely report, and an outcome that patients do not expect to happen. The U.S. healthcare system is extremely complex, making it challenging for a single solution to resolve this issue. There have been lots of efforts to implement a unique identity number for each patient (a national identifier) but political roadblocks have proven difficult to navigate. The chances are bleak that any such national system would be created, as patients remain profoundly worried about the privacy of their data. At present, perhaps the best option is that each hospital finds its own way to solve this problem by developing some internal system to make sure that patient mix-ups don’t happen. Or, a better idea is to leave this task to the professional organizations that specialize in the business of improving patient identification. The RightPatient® Smart App is a perfect example of an innovative solution that is powered by deep learning and artificial intelligence to turn any device like a tablet or smartphone into a powerful tool to completely eliminate the problem of mistaken patient identity. Always confirm two unique patient identifiers within the EHR (Electronic Health Record), like patient name and identity number. Though this is a standard practice, many mistakes still occur due to similar first or last names. Thus, an app like RightPatient can help to eliminate the chances of such an error. Two identifications should be used for all critical processes. There must be a system to alert staff if two patients have a similar first or last name. Avoid placing patients with similar names in the same room. Although patient misidentification and medical record mix-ups continue to plague the U.S. healthcare system, there is hope to address this serious issue with solutions like RightPatient. Now, we just need healthcare providers to make this a priority and take action. http://www.rightpatient.com/wp-content/uploads/2018/01/dreamstime_s_44989459.jpg 800 771 Patrick May http://www.rightpatient.com/wp-content/uploads/2019/02/RightPatient-Biometric-Patient-Identification-Data-Integrity-Platform-kernello-health.png Patrick May2018-01-11 16:06:462018-01-11 19:18:32How Big is the Patient Mix-up Problem in the U.S.? The Becker’s 2017 (and 3rd annual) Health IT & Revenue Cycle Conference is only a few days away! Needless to say, we’re excited, and it’s not just because George W. Bush and Sugar Ray Leonard will be there. The conference has a great lineup of speakers, presentations, and, ahem, vendors like RightPatient that will be providing a wealth of information on a variety of important topics. The timing of this conference could not be better considering the recent Equifax data breach, which puts over 140 million Americans at risk of identity theft. This has serious implications for healthcare, but the good news is that patients and providers can mitigate their risk with RightPatient. Since our inception, we have always recommended Photo Biometrics with RightPatient and have never deviated from that position. This didn’t come out of left field; we are, by far, the most experienced vendor in our market segment with 15 years of experience in biometric technology. We have worked with many biometric modalities, implemented our technology in projects around the world, built some massive biometric matching systems, and generally know this stuff inside and out. That’s why we always knew what was best for healthcare and had a vision of how Photo Biometrics would be used with our platform to transform the way that patients are identified. RightPatient accurately identifies patients by simply capturing their photo. At provider locations, this is critical to prevent identification errors and medical record mix-ups that affect patient safety, revenue cycle, and data integrity. With 1,000 patients dying each day from preventable medical errors and hospitals writing off millions of dollars annually from denied claims and patient fraud, health systems should have an easy time justifying RightPatient. But, for good measure, we now have the Equifax breach. Patient fraud was already a serious issue with 2-10% of patients showing up at the ED and providing false information (I’m looking at you, frequent flyers). We’ve heard countless stories from customers before they implemented RightPatient about frequent card sharing and outright fraud that was costing them millions in annual write-offs (RightPatient has since eliminated these issues). With the personal data of over 140 million Americans now compromised, how much easier will it be for someone to obtain care, access healthcare information, or gain a medical record release under a stolen identity? Here’s the bigger question – why deal with any of these risks at all? For a small monthly fee, healthcare providers could implement RightPatient and solve these issues. When patients interact with their providers, RightPatient captures their picture and accurately identifies them. The service is contactless (ideal for hygiene/infection control), supports mobile devices (e.g. EMTs, unconscious patients, home health visits), and the patient photos that RightPatient simultaneously captures deliver unparalleled value in various ways. If you have a chance, stop by our booth #1003 at the Becker’s Conference to check out why RightPatient is transforming patient ID in healthcare and to learn about our vision. We look forward to seeing you there! The following guest post on healthcare data security was submitted by Brooke Chaplan. Anyone who has been to a doctor’s office, hospital or other healthcare institution knows that these can be busy places with patients waiting to be seen and professionals bustling about to perform their duties. With all of this activity going on and various personnel involved in your care, you may wonder about the security of your medical records. Sensitive information lies within the paper and electronic files used by your medical providers. Let’s take a look at how doctors and nurses access, utilize and safeguard your healthcare data. First, it’s important to identify the difference between three different terms that are often used interchangeably within healthcare. The concepts of confidentiality, privacy and security are related, but each has its own significant meaning with regard to balancing the needs of patients, providers, the public and other relevant parties such as insurance personnel. When discussing confidentiality in the medical field, the term refers to the duty of personnel to hold any patient healthcare data to which they have access in the strictest of confidence. 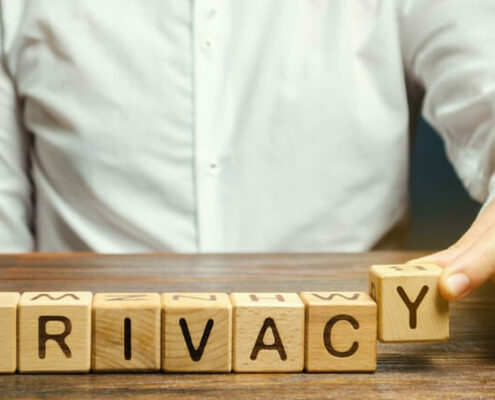 Privacy is a separate concept that has to do with an individual patient’s right to decide how personal medical information is shared and with whom. You may be familiar with HIPAA, the Health Insurance Portability and Accountability Act. This statute by the federal government states that, while a patient’s right to privacy and control of their healthcare data still exists, there are some parties to whom such data can be shared without prior patient approval. These include public health officials, health organization administration and payment providers. Finally, there is security, which is all about the protection of confidentiality and privacy of patients. It refers to the ways in which healthcare data is stored and accessed. Your medical records contain a wide range of information. Your full name and unique patient number within that particular healthcare network is stored in your records, along with demographic data like your date of birth, gender and race. Your allergies, medical conditions, lifestyle habits in addition to detailed accounts of every provider visit, lab result, prescription and referrals. Your payment, billing and insurance information are also kept in your medical records, as is your family medical history. As you can see, there is a great deal of sensitive and personal healthcare data kept within your individual medical records. In order to ensure the privacy and confidentiality of patient data, healthcare and medical organizations pay special attention to create structured policies and procedures regarding the way such information is handled, stored and accessed. Each network will have its own unique set of guidelines, but the matter is taken very seriously among medical providers. In fact, an entire profession known as healthcare or nursing informatics is dedicated to the management of healthcare data. Many universities also offer a masters in nursing informatics program. An informatics expert is usually employed to help organizations protect patient health information and to ensure only necessary professionals can gain access. Healthcare providers work hard to care for your medical needs. They are also concerned with the proper care of your personal data. You can rest assured that procedures are in place to ensure the security of your private and confidential information. Brooke Chaplan is a freelance writer and blogger. She lives and works out of her home in Los Lunas, New Mexico. She loves the outdoors and spends most her time hiking, biking and gardening. For more information contact Brooke via Twitter @BrookeChaplan. The following guest post on patient privacy was submitted by Avery Phillips. 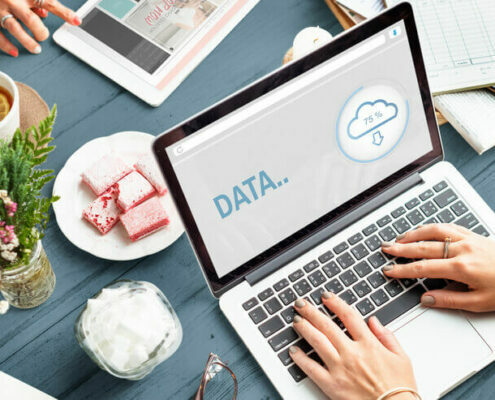 In many industries, the proliferation of mobile, cloud, and data collection technology is far outpacing the ability of regulatory bodies to keep up. This is especially true in healthcare, partly due to the sensitive nature of patient records and partly due to widespread adoption of mobile health tracking by both practitioners and the general public. Consumer-generated data is one significant challenge in legislation and education related to privacy, as it isn’t yet protected. Additionally, the long-term impact of tracking and sharing one’s health data through social networks isn’t fully understood. Data breaches in the healthcare field have already proven that people’s medical histories, social security numbers, and addresses are vulnerable. Cloud technology paired with monitoring devices is giving healthcare providers access to real-time data, and a lot of it. This improves the quality of care, but comes with severe breach risks. While legal understanding catches up to the reality of big data, healthcare providers need to go above and beyond legal requirements to protect patient privacy. The risks of consumer-generated data haven’t been fully explored, but what we do know is that sharing health data online is “a digital tattoo.” That data follows users, is unregulated, can be sold to third parties, and used by hackers or identity thieves. Platforms like Fitbit and Facebook are just the tip of the iceberg for providers. Wearable technology is allowing patients to receive real-time information and communication from professionals and gives providers access to a constant flow of actionable health information. That relationship evolves with each new innovation, but responsibilities concerning its collection and use haven’t been explored. In September of 2013, Advocate Medical Group suffered one of the largest data breaches in history. Four million records, including names, addresses, and social security numbers were taken by hackers. As new services are introduced, and hackers develop new ways to subvert security, it can be difficult to keep employees up-to-date. An improperly trained employee might fall for a phishing email, accidentally use an unsecured app or cloud service with their personal mobile device, or share login information that enables access to private records. In 2016, 60 percent of all patient information breaches were due to hacking, but not all hacks are the direct cyber attacks we tend to think of. An employee opening the wrong email and clicking the link is a far easier way for a hacker to gain access than, for example, a brute force password crack. Many patients may not realize it, but one threat to their security can occur if a healthcare provider refuses to share their information. Information blocking can come in many forms, such as prohibitive pricing, contracts that block users from accessing their information, and business practices intended to exclude competitors and prevent referrals. These alleged practices put additional financial burdens on patients and compromise their privacy by restricting access to their own records. Many of America’s biggest vendors and healthcare providers have signed onto a pledge to combat this practice, but it has yet to be put into law. The advent of rapidly evolving mobile technology is presenting new possibilities in data collection and improving the quality of patient care. On the other hand, the sparks of innovation are vulnerable to attack and mismanagement by unscrupulous business practices. It’s important for healthcare providers to invest in data security and breach recovery contingencies, as well as develop best practices to prevent misuse. Avery Phillips is a freelance human who loves all things nature (especially humans!). Comment down below or tweet her @a_taylorian with any questions or comments. Subscribe below to keep yourself up-to-date on the latest news on patient ID and patient data integrity in healthcare including news and information about using biometrics for patient identification.